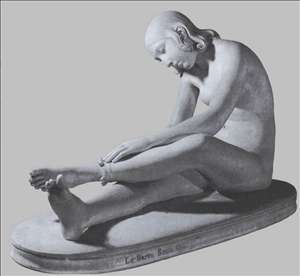 French sculptor of Monegasque birth. He trained in Paris in the studio of Augustin Pajou in the period 1785-88. He was an officer in the French army in Italy during the Revolutionary wars, but by 1802 he had resigned his commission. 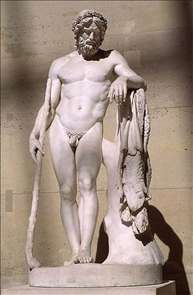 He stayed in Italy, presumably studying and practising as a sculptor until his return to Paris in 1807. Thanks to Lorenzo Bartolini he was employed to work on some of the stone bas-reliefs (1807-10; in situ) for the Colonne de la Grande Arme in the Place Vendôme, Paris. He was also a portraitist to the imperial family. 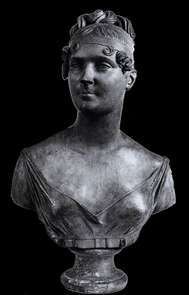 At that time he produced one of his best portrait busts - that of Empress Josephine (Dijon). His first exhibit at the Salon was Cupid Shooting his Arrows (plaster; untraced) in 1808. A marble version (St Petersburg, Hermitage) was ordered by Empress Josephine. Reminiscent of Giambolognas Mercury, this Neoclassical work was completed in 1812. Louis XVIII made him court sculptor, and Charles X conferred the title baron on him. 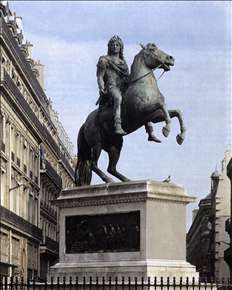 Of his larger works the most important are the equestrian statue of Louis XIV (Place de Victoires); the quadriga (four-horse chariot) of the Arc de Triomphe du Carrousel; and Hercules Struggling with a Serpent (garden of the Tuileries). See more details about "Louis XIV"
See more details about "Aristaeus, God of the Gardens"
See more details about "Bust of Josephine"
See more details about "Young Indian Woman Wrapping a Shell-Fringed Band round her Leg"